The conversion of Viking House, Lincoln, along with neighbouring properties into 236 student apartments is set for approval. terrace at Nos. 100, 102 and 104 Newland. Both properties were previously offices, the former used by the Department for Work and Pensions, and the latter used as an office by CAD Associates. 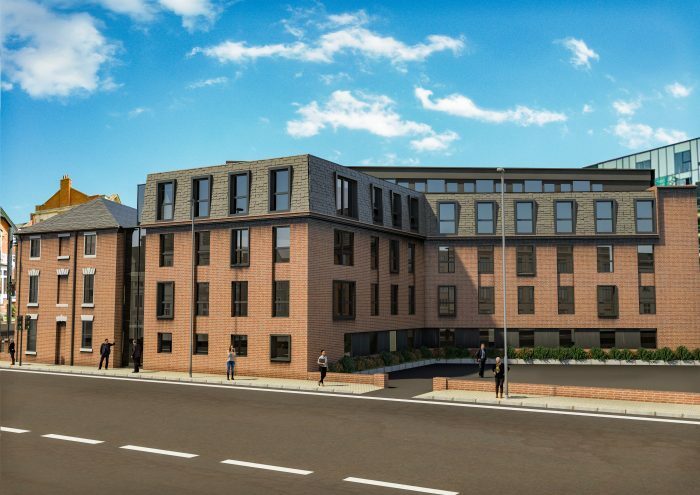 The plans, proposed by Globe Consultants outline extensions to the north of Viking House, and the erection of partial subterranean building to provide four storeys of student accommodation. The flats will be ensuites with a shared kitchen area.